July 26, 2016 -- The single scariest day of my life was the day I bought my first practice. The equipment was brand new, the paint still smelled fresh, but we had zero patients. I had no idea how I was going to afford my practice loan or if I would ever have the chance to truly lead a team to greatness. I had no prior business experience, yet I dove headfirst into this office without thought of failure being possible. After four years of ownership and expansion into six offices, I am finally able to breathe more easily. Along the way I made many mistakes. Eventually I found my groove and learned which key aspects of my business created profitability and growth. The foundation for success came from three basic principles: finding the right business partner/mentor, strategic branding/marketing, and building the right team. It is no secret that dentists are not always great business people. Most have never achieved an advanced degree in business, nor had time for business classes during dental school. Thus, it is crucial to find someone who can give the right business advice and be involved in every aspect of operations to guide the owner dentist, especially in the early years of the practice. With the help of an operationally focused partner or mentor, dentists can gain greater knowledge on profit-and-loss statements and equity reports, which are essential to any business owner. This will allow owner-dentists to understand people costs, lab and supply, building expenses, marketing, payroll, and the other factors in a way in which they can make strategic changes to impact profitability and long-term stability within the practice. When starting a new business, creating a brand is just the beginning. Protecting that brand is the ongoing challenge. The brand created is a direct reflection of the owner-dentist's vision for that practice and how it is to integrate within the community it serves. To prepare for this, it is helpful to seek out a demographics survey for the target location -- this way the owner knows information such as the mean household income in the area, the average age of patients, and the saturation of competition in the area. This will provide the owner-dentist with the data necessary to compete in the area and assess marketing strategies that would best attract the neighboring patients. These days, online and social media marketing tend to be the most focused strategies for modern day practices, though they sometimes can be very costly. However, it is always essential to become involved with the community, whether it is through charity drives, school sponsorships, or open houses that welcome local residents to step through the doors and see what the practice has to offer. Business-to-business marketing also is helpful, especially to start, bringing information on the practice and its providers to other nearby businesses via gift baskets, doctor biographies/photos, and business cards to draw attention that the office is open and providing services. The best marketing strategy still remains word of mouth. Referrals drive new business, and trust is easy to achieve with patients, because someone they know has recommended the practice. There is maximum return on investment, since there is no cost to begin with. Remember, it takes time. The team we start with in year one may not be the same team we field in year two; however, minimizing turnover is essential. Patients want to establish trust with their providers and the team members who support them, so interview intentionally. Be sure that each chosen player on the team understands the owner-dentist's vision clearly so that the brand will stay protected. Common mistakes are to have a growth mind-set only and to increase the size of the support team and providers quickly with less intentionality, ultimately equating to lower-quality hiring. The recall patients drive the long-term revenue and the stability of the practice. If patients enjoyed a high-quality first experience but return six months later to meet many new faces, have less attention, and untimely appointments, the brand will have changed drastically in their eyes. Be slow to hire so you will not have to fire. By keeping these three principles in mind, owner-dentists can set themselves up for success as new practice owners. 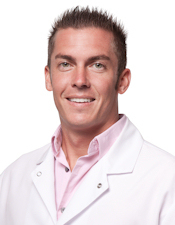 Cody Mugleston, DMD, is a multiple-office owner-dentist supported by Pacific Dental Services in Las Vegas.